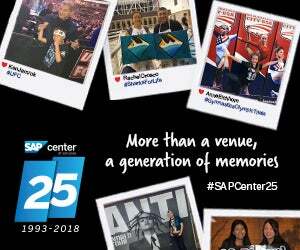 Outlined below are a few "Key Things to Know" about U2 and SAP Center at San Jose. If you have any further questions, please don't hesitate to call us at 408-287-7070. 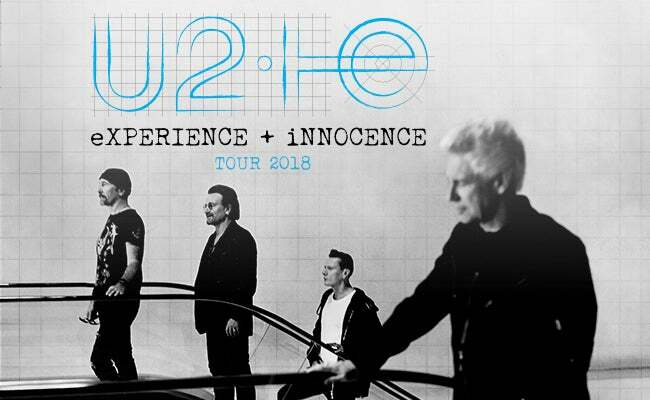 U2 is scheduled to begin at 8:00 p.m.
SAP Center at San Jose welcomes guests with General Admission (GA) paperless tickets to arrive and form the line in advance of typical arrival times for events. All guests are required to abide by the provisions within the following policy. Ticket holders found in violation of the following policy may be asked to surrender their paperless tickets and leave SAP Center property. Upon arrival, each guest who indicates he or she has GA floor seating will have a sequentially numbered wristband put on his or her right wrist. Wristbands will be distributed at 9:15am (subject to change). 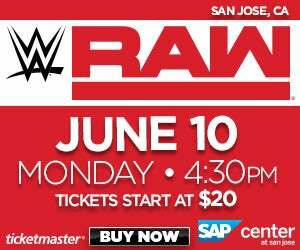 GA ticket holders who have paid for parking in one of the SAP Center parking lots and elect to leave after receiving their wristband will have their money refunded as they leave the parking lot. There are no in-n-out privileges in the SAP Center managed parking lots after 4:00pm. Any guest with a guest pass after 4:00pm will have to pay the event parking fee of $25. GA ticket holders will be admitted in sequential order once doors are opened, scheduled for 6:30pm.